Laurier Homes knows how important it is to build a quality home in the right location. Since 1976, we've been doing just that in communities across the GTA including Oakville, Mississauga, Milton, Richmond Hill, Scarborough and Markham. With strong corporate principles and a staff dedicated to excellence, that translates into trusting relationships with our Home Owners. Laurier Homes has over many years developed a formula for meeting and exceeding the expectations of our Home Owners whether you are purchasing your first or your eighth home from us. We start by researching the needs of our potential customers, integrating today's modern features with elements of design and lifestyle, while incorporating architectural details and harmonious streetscapes into each community. Laurier's continued quality assurance goes into every home we build before the Laurier name goes on it. Our consistent hands on approach and our dedication to service excellence bear witness to our steadfast commitment to our Home Owners, many who are repeat buyers from generation to generation in all of our projects. Our Customer Service Personnel treat every Home as their own ensuring that quality is not compromised, that home owners are treated fairly and respectfully while alleviating their concerns expeditiously. 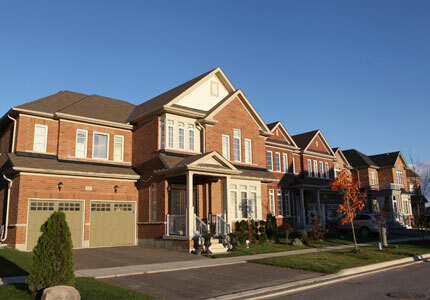 Laurier contracts with trades and suppliers that have been helping to build each home for many years and so each home is knowingly built within the stringent perimeters set by Laurier Homes and scrutinized through our Construction and Customer Service Departments, affirming our commitment to you. Laurier Homes is committed to developing in communities with homes that are well built, well designed, energy efficient, environmentally mindful, and value-conscious incorporating innovative techniques & materials into every home.